If your home needs new garage doors, make sure you have them installed by a home improvement company that is experienced, reputable, and fair. For countless homeowners since 1972, that company has been 31-W Insulation. Find out why so many residents of TN, AL, IN, MO, and surrounding states have turned to us for their home improvement needs, and entrust the installation of your new garage door to our friendly professionals. These brands have garnered reputations for engineering garage doors that truly stand the test of time. They’re also regarded for producing beautifully crafted doors in a variety of styles and designs. 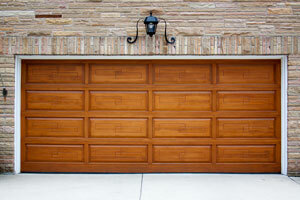 No matter your aesthetic preferences, these brands are sure to offer garage doors that perfectly reflect your style. What’s more, many of the doors from these manufacturers are backed by impressive warranties, so you can rest easy knowing that your investment is well protected. To learn more, contact us today and schedule a complimentary consultation. We proudly serve homeowners in Tennessee, Alabama, Indiana, Missouri, and surrounding states in the South and Midwest. Be sure to ask about our other home improvement services, including the installation of fireplaces, custom closet organizers, gutters, and more.